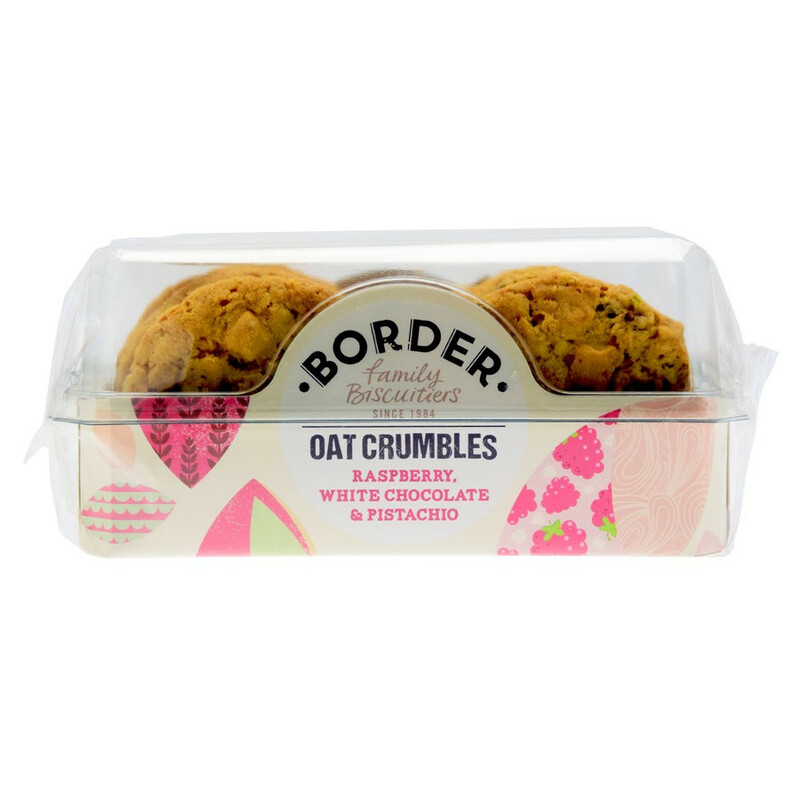 A brand new recipe from Border! Oat biscuits combined with a tasteful blend of raspberries, white chocolate and pistachio bits, perfect to delight the tastebuds. 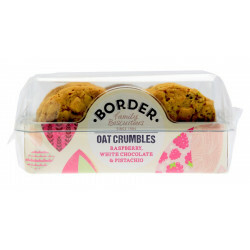 Ingredients: wheat flour (calcium, iron, niacin, thiamin), jumbo oats (15%), sugar, butter, raspberry pieces (9%)(fruit [apple puree concentrate, raspberry puree], sugar, humectant [glycerine], wheat fibre, invert sugar syrup, cherry juice concentrate, vegetable fat [palm kernel], glucose-fructose syrup, rice starch, gelling agent [pectin], natural flavouring, acidity regulator [citric acid]), white chocolate chunks (12%)(sugar, whole milk powder, cocoa butter, skimmed milk powder, emulsifier [soya lecithin], natural vanilla flavouring), vegetable oil (palm, palm kernel, rapeseed in varying proportions), driedd cranberries (cranberries, sugar, sunflower oil), pistachio nuts (4%), demerara sugar, skimmed milk powder, raising agents (ammonium bicarbonate, disodium diphosphate, sodium bicarbonate), salt, natural flavouring. Allergy advice: for allergens, including cereals containing gluten, see ingredients in bold. Also, may contain egg, sesame seeds and barley. Store in a cool, dry place and away from sunlight. 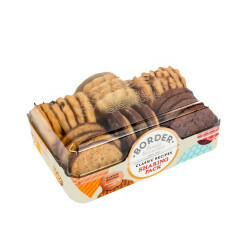 Once opened, best kept in an airtight container, in your own secret hiding place.